And at least on paper, the new EVO is a marked improvement over the original, packing a significantly crisper display, a processor with twice the cores, and of course the much-ballyhooed stereoscopic 3D capabilities. But early reviews have been anything but glowing, and the kickstand - one of the EVO 4G's most unique features - is nowhere to be found on this new version of the handset. So is it worth a look? A purchase? Read on for a quick list of pros/cons, followed by our full, 2000-word review. The ginormous silver camera button - if the kickstand was the original EVO's ace in the hole, this is without a doubt the EVO 3D's. It's super easy to press, has two stages (meaning you can press it down lightly to focus before pressing it harder to take the shot), and is generally a super handy feature. The screen is simply excellent - in 2D mode, that is. 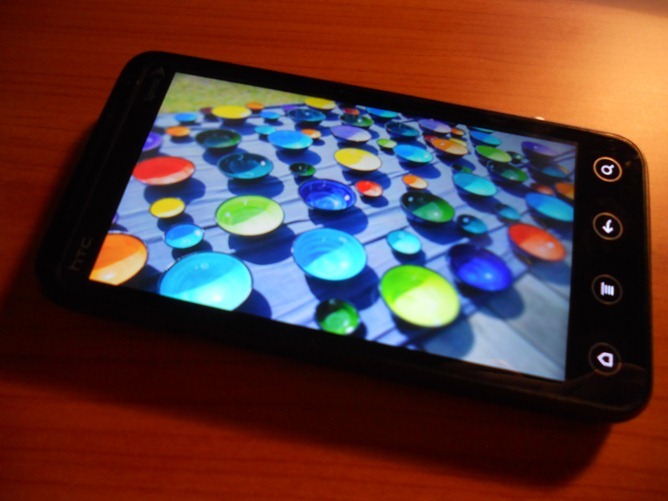 Sure, the Super AMOLED Plus display technology seen on the Galaxy S II is far superior, but the EVO 3D's qHD SLCD display can't be beat for clarity, and it's hardly lacking for color fidelity or brightness. The 1.2GHz dual-core MSM8660 CPU is as future proof as it gets right now, and general performance on the device is screaming fast. Quite a few of the pre-installed crapware apps can be removed. Not all, to be clear, but it's certainly a start. The MHL port combines the microUSB and HDMI jacks into one easily accessible port. Note, however, that while it's not hard to hook a traditional USB-to-microUSB cable into the port, you will need a special adapter to connect the EVO 3D to your HD TV or other HDMI appliances. 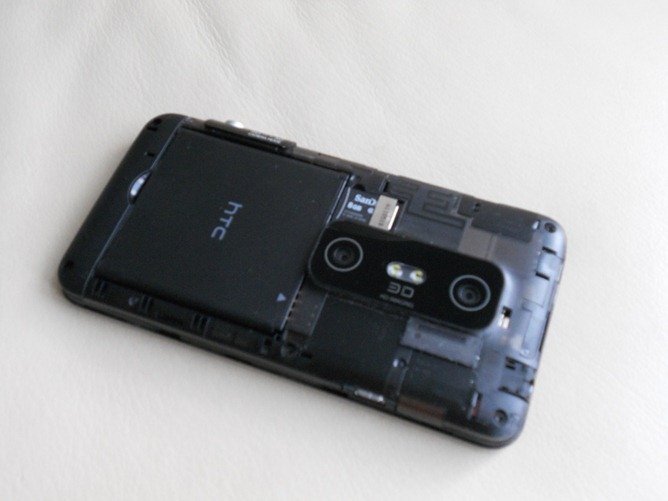 It's possible to use the phone without ever viewing a single 3D image or video. 3D is nauseating unless you view it from a very particular angle. Sense 3.0 - the latest version of HTC's custom UI is the very definition a love-it-or-hate-it thing, but regardless of your views on manufacturer overlays, it's hard to deny that if the Taiwanese manufacturer had to be so excessive in its Android skinning practices, it should have at least provided a "turn it off" option. The speakerphone is next to useless due to its inability to produce adequately loud sounds. Battery life is downright awful. Questionable ergonomics - both the camera button and the glass protecting the rear shooters jut into your palm when you hold the phone in portrait mode. Equally questionable aesthetical choices - the rear cover, for instance, is certainly unique - but not in a good way. 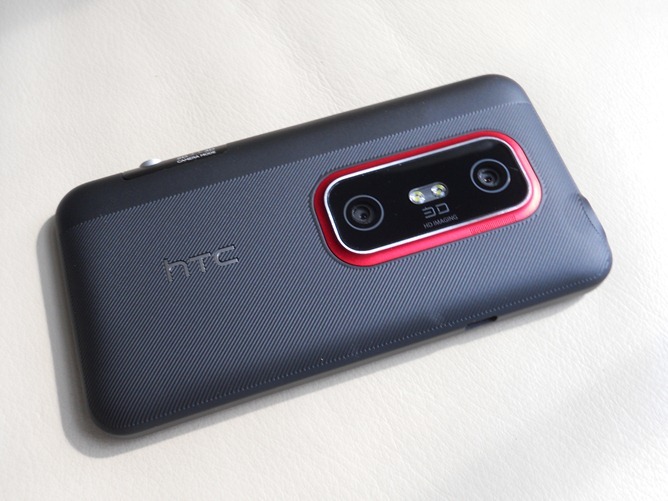 The camera button looks out of place, and I'm puzzled over why HTC got rid of the original EVO's alluring red interior. And let's be honest: this phone is T-H-I-C-K. Locked bootloader (though HTC has promised to unlock it in the future). In a sentence: Repulsive 3D effects aside, the EVO 3D is a praise-worthy Android device that I would recommend in a heartbeat. You should buy it if: You want the latest and greatest in the smartphone realm and don't care if it comes with an insanely useless gimmick. The EVO 3D's GSM cousin, the Sensation 4G, sports one of the sexiest and most comfortable-to-hold designs ever to grace a smartphone. Covered in premium materials like aluminum from head to toe, it is arguably the first Android phone that comes close to matching the iPhone 4's build quality. Sadly, the same cannot be said of the EVO 3D. Its build quality isn't a complete train wreck, but it can't hold a candle to the Sensation 4G or even the ThunderBolt. The glass covering the two rear cameras extends much too far out - so far out, in fact, that holding the handset is made uncomfortable. Similarly, the camera button cuts into your hand and occasionally catches on to your skin. Finally, the plastic construction still can't touch the premium hand-feel of aluminum. But it's not all bad - although I thought I'd be bothered by the handset's comparatively formidable weight (it weighs about 6 ounces), I actually found myself enjoying the substantial feeling that resulted from the extra junk in the trunk. 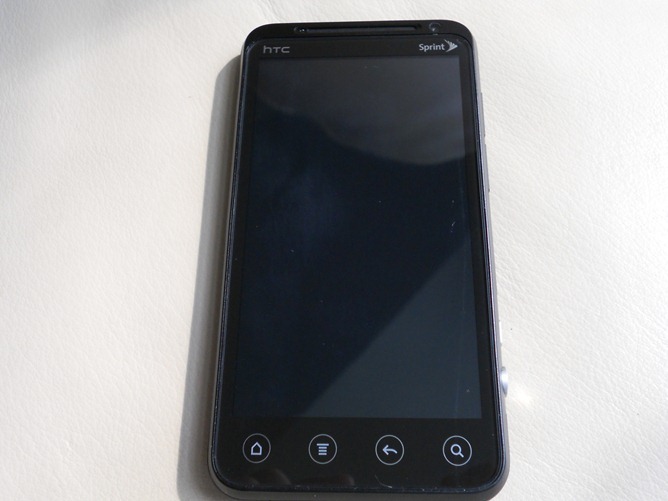 And unlike some other 4.3" devices (*cough* DROID X *cough*), the four standard Android buttons - home, menu, back, and search - were easy to access while the phone was in portrait mode. The battery cover consists of two varieties of plastic: a diagonally striped piece that makes funny noises when a fingernail is dragged across it, and a small matte part at the top (it feels a lot like the top section of the Motorola XOOM's backside). The device's sides are made of the same matte material and are punctuated by a smorgasbord of buttons and ports: the power button and the 3.5mm headset jack on top; the volume rocker, the camera button, and the 2D/3D camera switch on the right side; and the MHL port on the left. On the front, you'll find the four aforementioned Android buttons as well as a pair of logos (one for HTC and one for Sprint), the front-facing camera, and the plastic speaker grille. Sandwiched in between is, of course, the star of the show: the 4.3" SLCD display. And what a star it is! Though it can't best Samsung's Super AMOLED Plus displays for brightness or color, it is big and incredibly crisp (and hey, it's one of the few non-PenTile qHD displays on the market). And, Super AMOLED comparisons aside, I highly doubt you'll be lamenting the brightness levels or the color fidelity of the EVO 3D's display. When the brightness slider was cranked all the way up, the phone had no trouble illuminating a pitch-dark room, and text on the display was readable even in direct sunlight. As for viewing angles, I found that colors here (which are very realistic when viewed head-on, by the way) look good even from oblique positions - though not quite as good as, say, the iPhone 4's screen. Ah yes, and then there's the three-dimensional elephant in the room. As its name implies, the EVO 3D is capable of displaying 3D video and images. The good news? You don't need glasses... though I suppose that's to be expected since this is, after all, 2011. The bad? Unless you look at the 3D content from a very specific angle, you'll be confronted with a headache-inducingly blurry picture with very little to offer in the way of actual 3D. To be fair, when you do find the right angle, there is a visible and even somewhat enjoyable three-dimensional effect - but frankly, it's not worth the time you'll likely spend looking for said angle. I don't see this as a major issue, though, as you're never forced to view anything in 3D. I'll be the first to admit that my photography skills are virtually nonexistent, and when it comes to cameraphones, I'm pretty forgiving of less-than-stellar quality. That said, the EVO 3D's camera was more than adequate for the occasional shot or two, and with just a smidgeon of extra effort, I was able to get some more than acceptable results. So what about 3D? After all, there's a reason this phone has two rear cameras, and it's not because some engineer on HTC's design team came in to work drunk out of his mind. 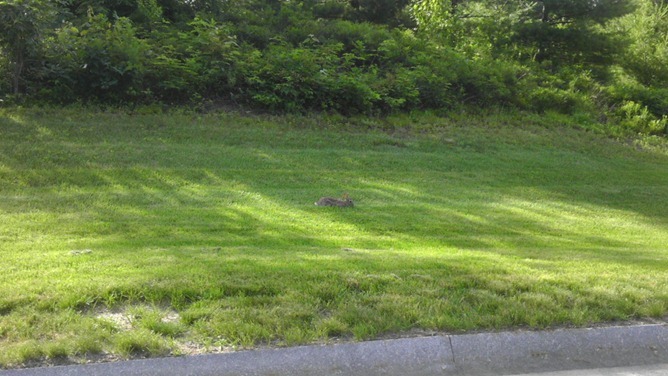 It's true: for better or for worse, the EVO 3D is capable of taking 3D stills and video. You can have a look at the resulting .MPO images here, but be aware that you'll need 3D glasses and a program like sView to view them on a regular monitor. 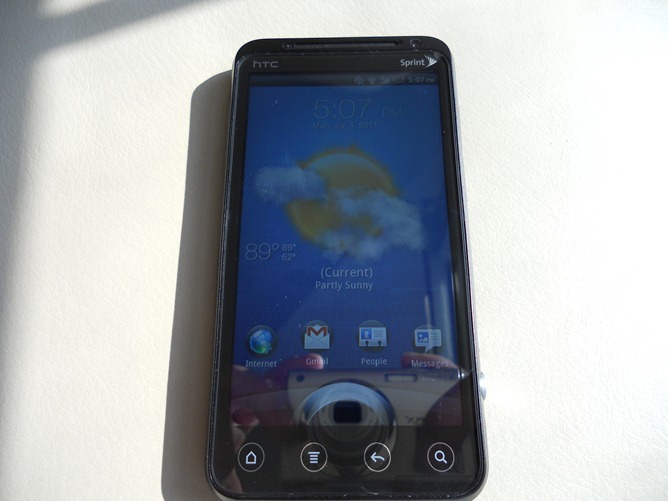 As should be expected from a non-Nexus HTC device, the EVO 3D comes with the latest iteration in the company's series of over-the-top Android overlays: Sense 3.0. And as should be expected, some will praise its looks and point to the functionality it adds as proof of its "excellence," while others will bemoan its in-your-face animations and possible glitches (though I only encountered one very minor bug - after the phone failed to connect to Sprint's data network once, it repeatedly gave me error messages, even when it had 3G/4G signal). Personally, I don't mind the skin - there's no denying that it adds some incredibly useful features, such as the super-customizable lockscreen and the quick settings in the notification bar. That said, it can get a bit excessive at times (do we really need to see flying clouds every time our phones are turned on? ), and having the option to just turn it all off would certainly be nice. Of course, Android 2.3, the latest version of Google's mobile OS, is hiding somewhere under all those clouds and raindrops and windshields. That means you'll be able to access all the latest apps on the Android Market, and the software remains zippy despite HTC's customizations. One thing you should be aware of is that, as a result of the high-resolution display, the pixel density here is insanely high. That means text will be significantly smaller than what you might be used to seeing on a WVGA screen, though due to the sky-high pixel density, it won't be any less readable. This may be frustrating to those whose eyesight isn't what it used to be, but if it's any comfort, once the phone is rooted, the pixel density settings will be easily changeable with the aid of an app like LCDDensity. I must also recount an intriguing story about the bloatware on this device: some of it can be uninstalled at will. Of course, Sprint, being one of the four major US carriers, would hate for you to forget its presence, so some apps - such as the now-infamous Sprint Zone - are there to stay. Still, it's nice that removing apps like NASCAR is an option for us nerdier types. While we're on the topic of pre-installed apps, I'd be remiss not to mention some of HTC's more desirable additions (or at least those that appear to be more desirable), most notably the HTC Watch movie rental/purchasing service. To be honest, I can't ever see myself using it - its selection is diminutive compared to the "big boys" (Netflix, iTunes, etc. ), lacking classics like The Terminator. What's more, the movies that it does feature are outrageously overpriced ($15 for The Karate Kid? Forget about it! 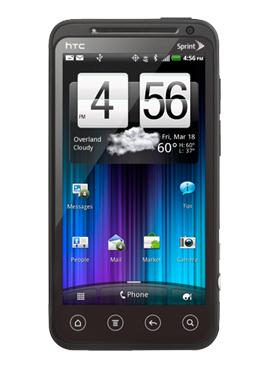 ), and attempting to find a film in the store can be even more difficult than searching the Android Market. Seriously. The only other item of note here is the included Spider-Man 3D game, simply because it utilizes all three dimensions of the EVO 3D's display. As a result, text in the game's menus is blurry and low-resolution, but its graphics are, at least in theory, more realistic. And, unbelievable as it may be, the gameplay really was given a whole new dimension - though said dimension didn't feel quite natural. Also, touching the screen feels very odd - it seems as if your hand were passing through the third dimension. 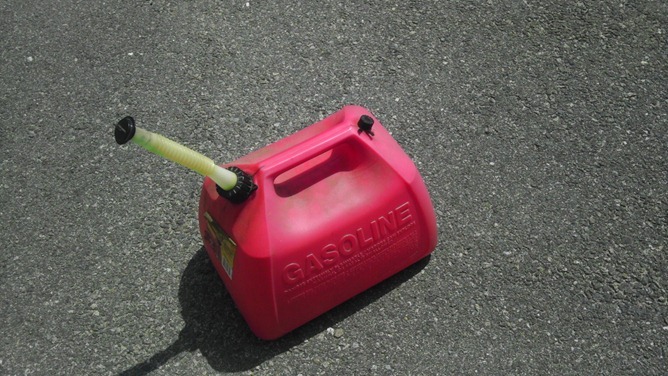 Nonetheless, it's included, it's cool, and if you don't like it, you don't have to use it. All in all, Sense UI and HTC's other additions are by no means intolerable - on more than one occasion, I found myself wholeheartedly enjoying them - but for all the functionality they bring, they're still missing one essential feature: a "switch to stock Android" option. Seeing as NVIDIA's Tegra 2 chip and 700MB-1GB of RAM are now table stakes for a high-end Android smartphone, it'd be hard for HTC to truly wow us where raw horsepower is concerned. That said, the EVO 3D is definitely a cut above the rest, with a top-of-the-line Qualcomm MSM8660 CPU clocked at 1.2GHz and an entire gee-bee of RAM. And indeed, everyday performance was among the best I've seen on any smartphone, and even after a week of downloading and playing graphics-intense games, the EVO 3D refused to get bogged down. Benchmarks reflected this: it got an overall score of 5190 from CF-Bench, which compares favorably to all pretty much all competing dual-core devices, with the notable exception of the ARMv7-powered Galaxy S II (which got a score of 6442). One downside to the EVO 3D's Qualcomm CPU is that, because it isn't supported by NVIDIA, it won't be able to access the latest wave of Android games (e.g. Dungeon Defenders and Galaxy On Fire 2). On a related note, games that utilize the Unity 3D graphics engine aren't supported, meaning that applications like Samurai II: Vengeance are out of the question. I was astounded by just how good calls sounded. My first test involved calling an EVO 4G, and the EVO 3D passed it without issue - in fact, it was the best-sounding call I've ever made... on any smartphone. I suspected that the spectacular quality might have been a result of the call's Sprint-to-Sprint nature, so I then continued the test with a call to my landline and a few more to some AT&T-subscribing friends. But the results did not change: the quality was excellent, even where signal strength was somewhat lacking. Speaking of signal strength, I have some less-than-awesome news to report. 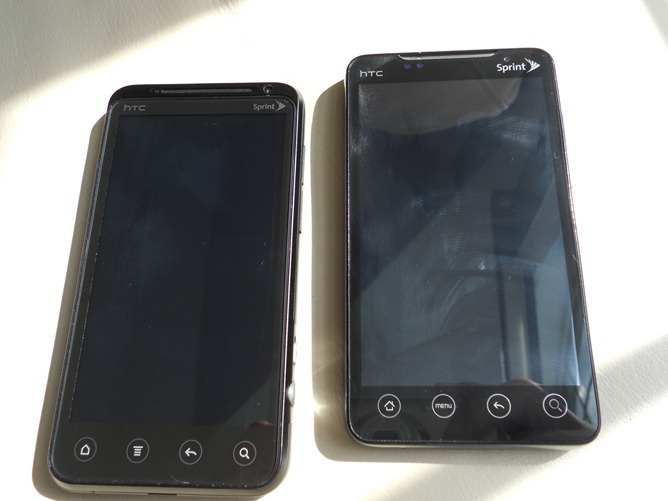 The EVO 3D consistently got less bars of signal than other Sprint phones (the original EVO 4G and the Epic 4G, thanks for asking). It was but a marginal difference, to be fair, but it was perceptible nevertheless, and it worries me. Not a deal-breaker, but certainly something to keep in mind. Again, the call quality is nigh flawless. However, the speakerphone is, quite frankly, an abomination. 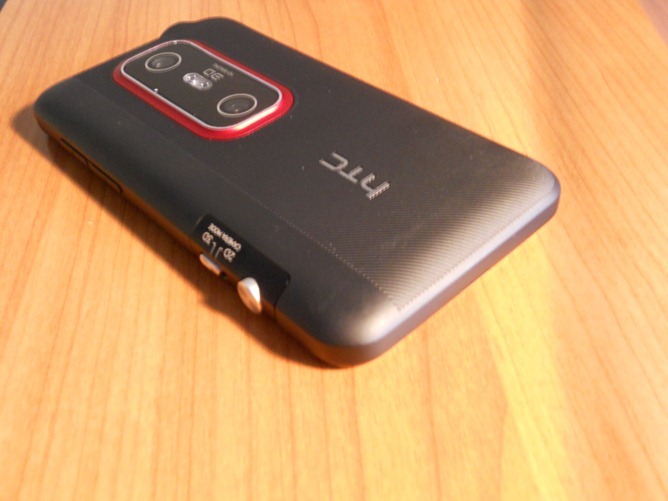 For some unfathomable reason, HTC chose to drop the speaker on the original EVO 4G (which was actually not half bad) and instead went with some irrationally quiet unit that is barely audible at full volume. And then there's battery life. In a word: ugh. You'd think that after the media backlash surrounding the first EVO's battery, HTC would have learned its lesson, but apparently one round of crappy reviews wasn't enough to get the message through to Taiwan. Although the cell is a beefy 1730mAh unit, the phone essentially failed my daily usage tests. After spending a full night on the charger, the device was used for a quick game of Words with Friends, a few rounds of email-checking, and several text messages/calls. It was dead before 3:00 p.m. (I might add that 4G and Bluetooth were both turned off during the test, making these results even more pathetic.) And that, my friends, is what I call bad battery life. Many of you have posted significantly more impressive battery life figures in the comments. My unit couldn't and still can't stay off the charger for that long, so perhaps I just got a lemon (or, as Aaron notes, it could be a result of the mediocre reception I get at my house). I'll see what Sprint Customer Service can do. 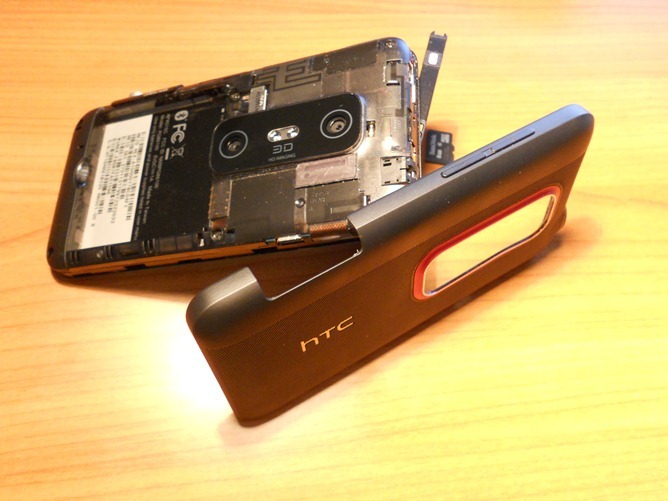 The EVO 3D's namesake, the third dimension to its display, is a downright embarrassment for HTC. But it's not like you're ever forced to view 3D content, and the other aspects of the device hit (almost) all the right notes. Sure, battery life isn't quite ideal, and sometimes we'd like to be able to turn off Sense UI, but all things considered, the EVO 3D is a great phone and an excellent option for current and incoming Sprint subscribers. That said, the EVO 3D is hardly the same quantum leap forward as its predecessor - and what's more, there's little doubt in my mind that the US versions of the Galaxy S II will run circles around the EVO 3D. You should also take into account the upcoming launch of the Motorola Photon 4G, whose specs are similar to this handset, only with the addition of a global radio. At the moment, though, there's nothing truly preventing us from recommending this new EVO... just get ready to stare at an awful lot of clouds over the next two years.